Oh India, how do I even begin? 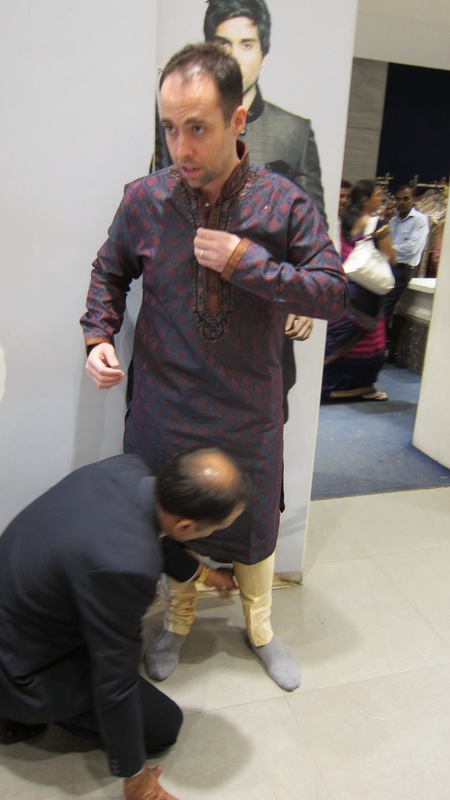 Our biggest motivator for going to India was to experience a traditional Indian wedding. That, in itself was amazing. 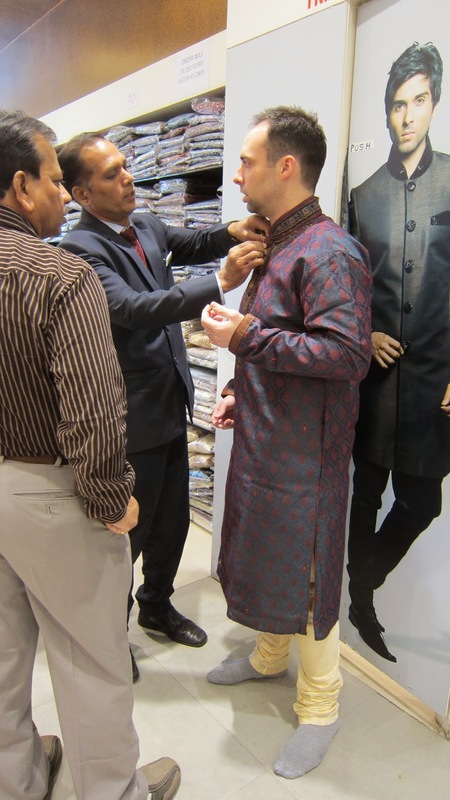 From shopping for the traditional wedding garb, to the actual two day celebration and all the little hiccups in between. A complete sensory overload- in a good way. 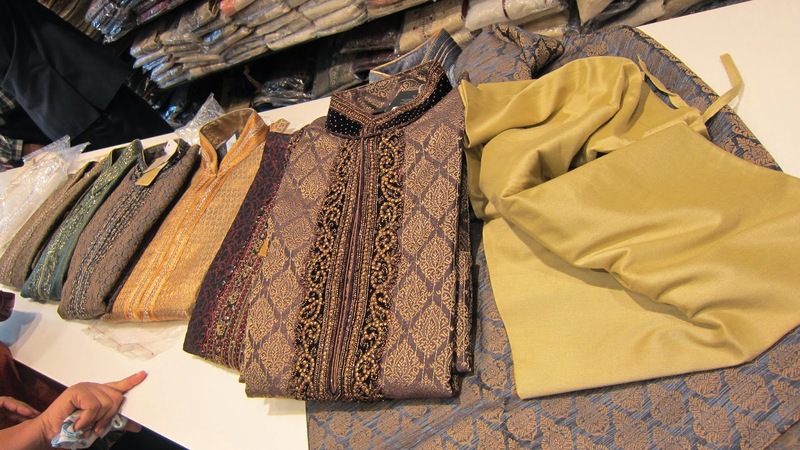 The shopping was one of my favorite parts of getting ready for the wedding. We were lucky that a colleague of Hub’s in Vienna had family in the city that we were flying into. His family took us shopping at the right places in Mumbai, and even fed us twice while we were with them for the half day. Since the wedding was going to be two days long, we each bought two outfits. In the second half of the day, we were driven away to a town called Surat-which is about 4 hours north of Mumbai. 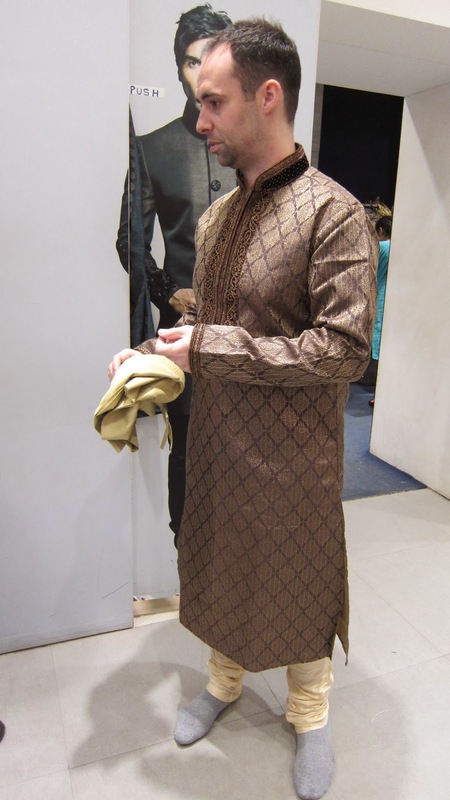 Hubs ended up with one of these kurta. Can you guess which one? Then it was my turn. Hubs got to snap some pictures before he was told that pictures were not allowed. I felt like a princess trying on all sorts of dresses and choli. I was amazed how they could fit me and have all the stuff customized in a few hours before we were to hit the road. This was the first choli that I put on, but not the one that I ultimately went with. Stay tuned to find out which one I picked out.